Intel invites gamers to "join the odyssey"
Intel continues to build up expectations with regards to its upcoming graphics products. Yesterday the @IntelGraphics Twitter account asked readers to join a new online community - a place where people can talk about "improving graphics and visual computing for everyone" with a commitment that Intel would listen to the voices of the community and dish out exclusive giveaways too. If you go here you can 'Join the Odyssey' by providing your email, name, region and nearest location. The location option covers many major cities in many countries, indicating that there will be some actual live event planned worldwide. If you do sign up, you are promised "the latest reports first and you'll have access to some amazing offers and exclusive giveaways". Intel suggests that it will be rather open with the graphics development ideas, plans and execution and your interactions in the community will steer Intel "to build the visual computing solutions you really want". On the topic of exclusive goodies for Odyssey members, Intel says that as well as the Intel Gaming Access newsletter, people will have access to "killer deals and freebies, preferred beta access, the latest gaming news, and more." Activity by the @IntelGraphics Twitter account has definitely picked up pace in recent days. 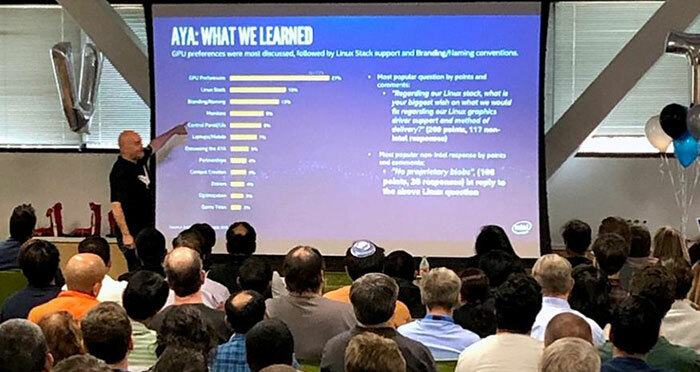 A few hours ago Intel's Lisa Pearce flagged up the new Linux Mesa 3D stack, and the account has been twittering about upcoming graphics card shroud designs and shrinking Gen11 Graphics execution units for greater performance and battery life this week. 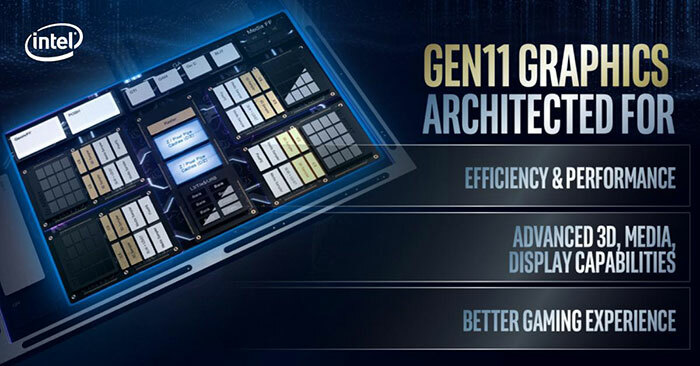 Remember that Intel will be at the GDC in mid-March to discuss the significant improvements delivered by Gen11 Graphics. So basically they are saying a billion people should tell us what to do so that we can make better products. We are getting money for that, you “the honor” to participate (make us have much less engineers to pay). And this is common trend among many companies these days. We are their idea / design team and their alpha and beta testers. But we still need to pay full price for a product!